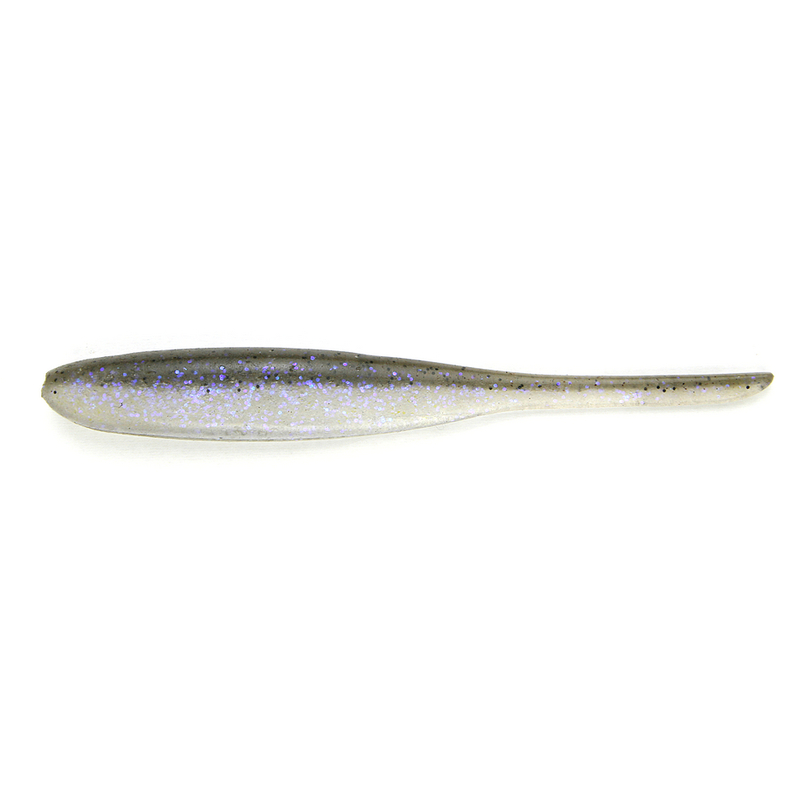 The Keitech Shad Impact is the perfect baitfish imitation. 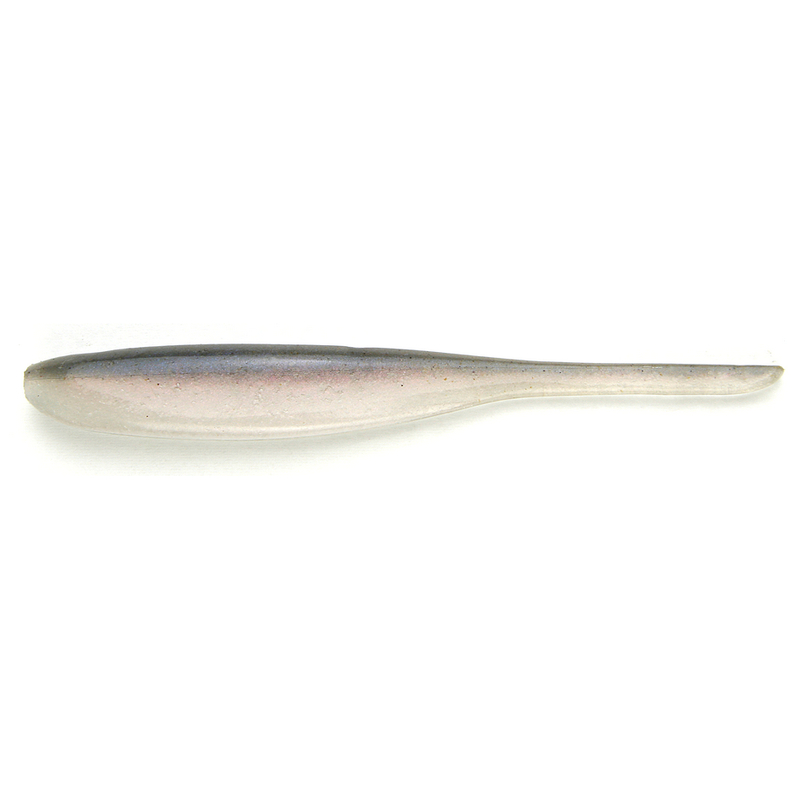 After careful consideration and multiple prototypes, we produced a lure that maintains a horizontal swimming posture with a natural rolling action that imitates a wounded bait fish. The top section of the bait is a no salt, light weight plastic and the bottom is a heavier, salted plastic. This combination provides the balance necessary to achieve the desired effect. Both the 4” and 5” Shad Impact can be fished texas rigged, on a split-shot or Carolina rig. 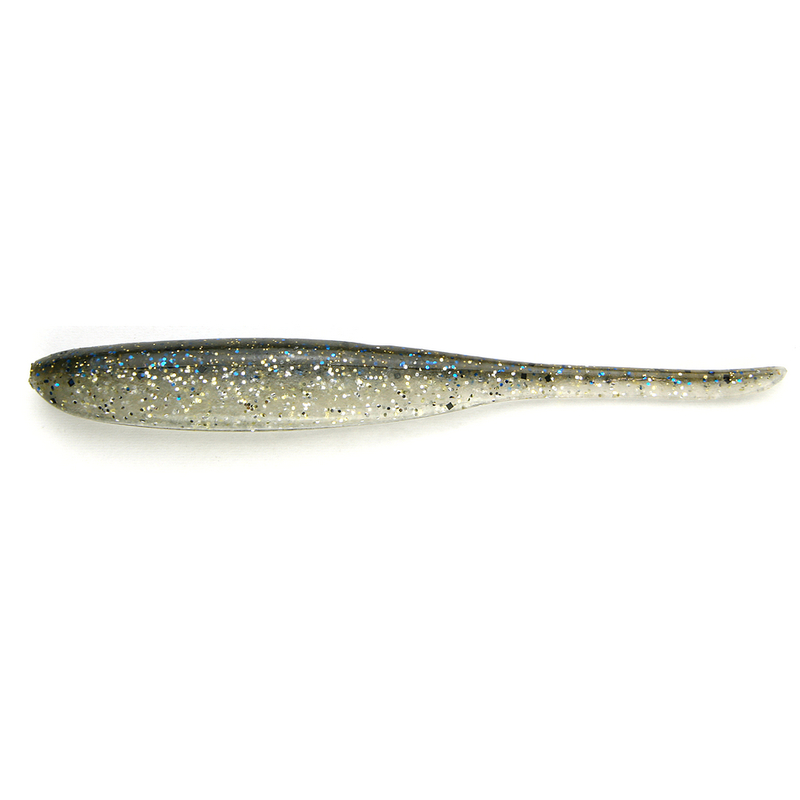 The Shad Impact is also extremely effective on a shaky head or as a drop shot lure. 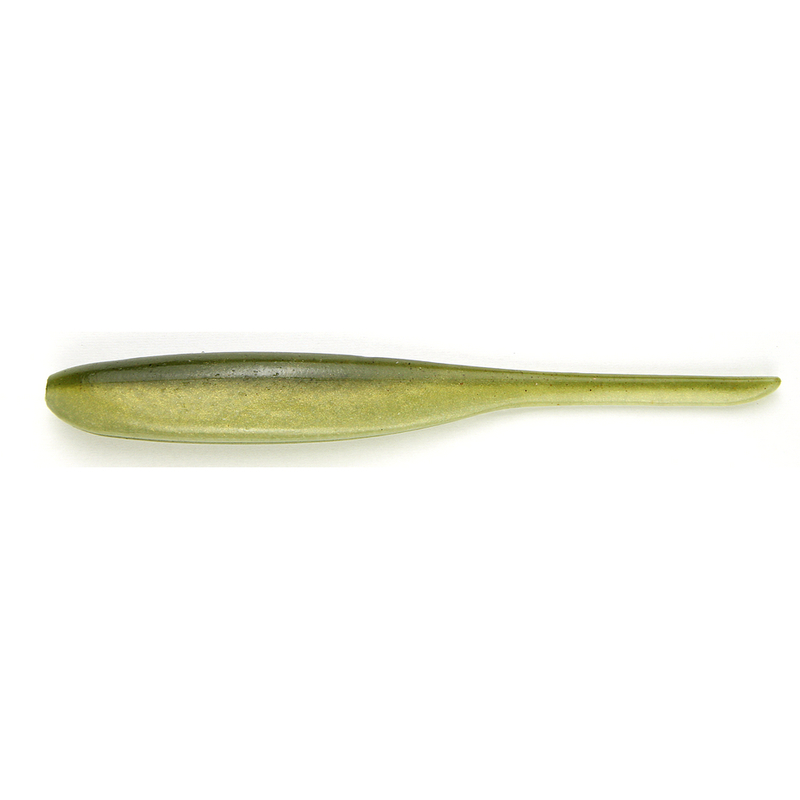 Check out the action videos below and meet your favorite new bait. Unsymmetrical body design creates a rolling action that drives predators wild. 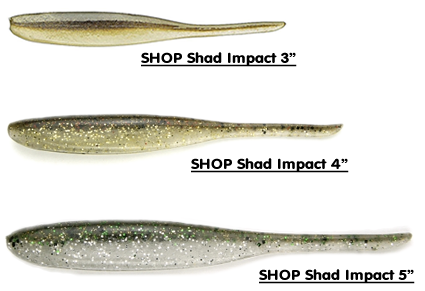 Shad Impact is produced from dual injected, different weighted plastics that provide perfect balance and flash. The Shad Impact has perfectly centered hook slit to ensure correct rigging. Shaky Head Rig - This provides maximum rolling action and flash. 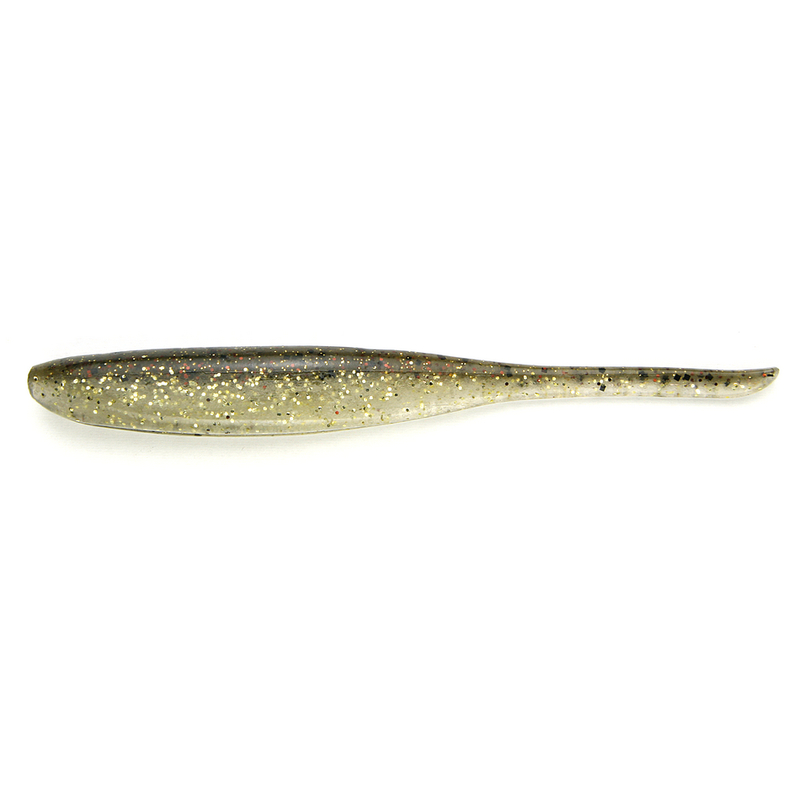 We Recommend the 1/0 Tungsten Super Round for the 4” and the 2/0 for the 5”. Texas Rig - Fish the Shad Impact weightless on a 2/0 for the 4” and a 3/0 for the 5”. The Horizontal swimming action and erratic motion solicited viscous strikes. Split Shot Rig - This is an excellent technique for fishing various structures such as weed and rocks. The horizontal swimming action and erratic motion are complimented by the addition of the split shot.